"Obamacare" refers to the Patient Protection and Affordable Care Act (PPACA), a U.S. Federal statute signed into law on March 23, 2010. Along with the Health Care and Education Reconciliation Act of 2010, it represents President Barack Obama's health care reform legislation. Republicans have named it "Obamacare." 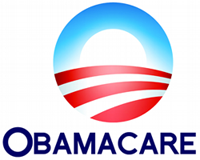 PPACA passed both the Senate and the House of Representatives in 2010. However, Senate and House Republicans voted against it, along with even some Democrats. Most states then filed suite against the law, challenging its constitutionality. On June 28, 2012, the Supreme Court upheld the majority of the law, ruling that it was constitutional. The two primary mandates of the law include a requirement that 1) all individuals must have some type of health care insurance; anyone not covered by an employer sponsored health plan, Medicaid, Medicare or other insurance program would be required to purchase insurance or pay a penalty, and 2)	a requirement that insurance programs must cover pre-existing health conditions. Under the law, Medicaid would be expanded to include individuals and families with household incomes up to but not exceeding 133% of the poverty level. States would be required to offer a marketplace exchange where people have choices in policies and premiums. In addition, low-income families with incomes up to 400% of the poverty level could qualify for a government subsidy to purchase insurance coverage from the state exchange. According to the Congressional Budget Office (CBO), rising healthcare costs continues to put more pressure on an already strained federal budget. In addition, it is estimated that up to 47 million people in the United States do not have healthcare insurance. Further, healthcare costs continue to rise. This will result in billions of dollars to the U.S. Government in generated taxes. In addition, the Food and Drug Administration (FDA) can approve generic biologic drugs which are generally less expensive than brand drugs. Other efforts to lower medical costs include establishing a non-government, non-profit organization called Patient-Centered Outcomes Research Institute to conduct research on the effectiveness and suitableness of various medical treatments, and initiate more preventative health efforts through task forces that can inform the public on community and prevention services. At the top of the list of areas that are controversial is the mandate requiring all Americans to buy healthcare insurance. More than half of Americans polled are opposed to government intervention in healthcare and feel that the new law will increase the amount of money they will have to spend on healthcare. A key part of PPAC is the Medicaid program which some estimates predict will represent how 17 million uninsured people will obtain their medical coverage. Currently Medicaid is a shared financial responsibility with the federal government paying more than half. Under the new law, the federal government will absorb all of it at a cost of $930 billion from 2014 to 2022. The government's share, however, will gradually decrease; it will drop to 90% in 2020. But the cost is a major concern to voters. Medicaid is the government's health insurance program for low-income people and those with illnesses. Under the new law, extending Medicaid to uninsured is going to be left up to the states to either comply or not, without federal penalties. However, the states are concerned that the federal government could change their mind and alter the amount of costs they are willing to absorb if the federal government sees a need to reduce the federal budget. Americans do not agree and cannot follow the logic of the government spending almost a trillion dollars for the government's share of the program during the first ten years in order to bring down the cost of healthcare. They see the major problem with the law as being the cost. Another area of controversy is the contraceptive mandate which requires health insurance companies to include contraception (including sterilization and abortifacient) services in their health care plans. This means required coverage for sterilization as well as all FDA approved contraceptive medicines and devices. Catholic bishops pushed for an amendment that would allow an exemption for religious institutions, but that was voted down. A large percentage of Americans support the law's requirement that companies with more than 50 employees have to provide healthcare insurance for their employees, and they are in favor of the law's preventing insurance companies from denying coverage to people who have pre-existing medical conditions. But overall as the law stands now, 56% of Americans are against it. 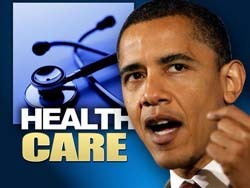 The primary benefits of Obamacare are providing health insurance for all Americans and making healthcare affordable. The Congressional Budget Office (CBO) estimates that the number of uninsured Americans would be reduced by more than 30 million by 2019 when all the provisions of the law have taken effect. Providing healthcare insurance for all Americans has been a goal of Democratic presidents for 75 years. Providing health insurance for everyone will also reduce the amount of cost by uninsured people who often use emergency room visits for medical services. States will benefit from increased government funding of Medicaid. Businesses required to provide medical insurance to employees will benefit from federal tax credits to help employees pay premiums, and employees benefit from having health insurance. CBO also estimates that the national deficit would be reduced by $143 billion over the first decade of the law, and a reduction of $1.2 trillion over the next ten years. It is also anticipated that Medicare rates for most services would be substantially reduced. The new law could increase premiums for some with only a small percentage eligible for the government subsidies that would reduce premiums lower than what current law allows. Medicare cuts could put a financial strain on hospitals and force them to cut back on services to seniors. The tax provisions included in Obamacare could discourage businesses from growing, decrease economic growth and eliminate jobs. Taxes imposed on drug companies and medical device manufacturers could increase medical costs. The contraceptive mandate could result in an increase in teen pregnancies and abortions. States are concerned about imposing a one-size-fits-all standard program across the states. Overall, Americans see one big disadvantage as government intervention in what should be a personal decision and the right of the government to force a mandatory purchase and penalize through taxes those who don't comply. The debate over what role the federal government should be allowed to assume in providing affordable health insurance for Americans will continue for some time. Considering the fact that health insurance has been an issue in the United States for the past century, and the new Patient Protection and Affordable Care Act is over 2,000 pages of debatable, complex instructions affecting millions and changing how Americans look at health insurance, the new law will likely be the topic of conversation among government officials at all levels and the American people for years to come. Copyright © 2012-2018 Dante Lee International | All Rights Reserved.